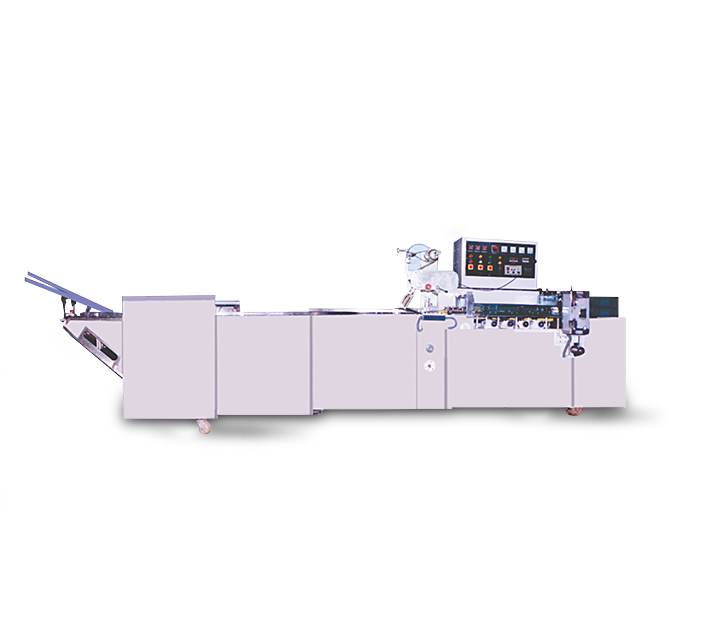 JAT-311 is an automatic, one-edge Biscuit Packaging Machine with Double Servo Feeder to lay out 50gms, 75gms and 100gms of packets. With the help of Pushing Chain, the biscuits are fed to the Feeder Belt, where they are sorted into a group and further sent to the packaging stage. Moreover, the front and the back sealing mechanism accurately wrap the product into the finest packets. The Cutting Jaw takes care of separating the individual packets carefully. It gives out 200 pouches in a minute with the help of Double Auto Servo Feeder. The packet’s roll is 250 millimeters wide and is made up of heat sealable laminated film. The machine follows center sealing mechanism to moisture-lock the product. An electrical panel is also mounted for controlling the production speed and other processes of packaging. The machine runs at 3 kilowatts power and is MS powder coated. Owing to its rustproof surface, the machinery promises a fine surface with higher strength and chemical resistance. 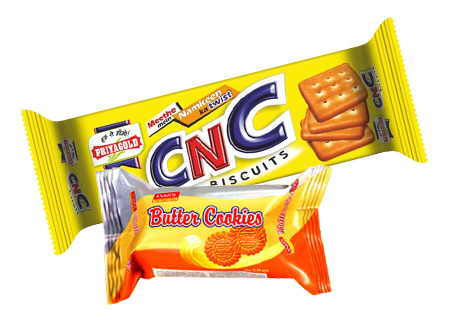 It is a biscuit packaging machine which can also be utilized as cake/ Rusk packing machine. It can be started, stopped and reset at any given point with an ease of highly functional electrical panel. It weighs 1400 kilograms and comes with little maintenance.